Why our training courses are different! 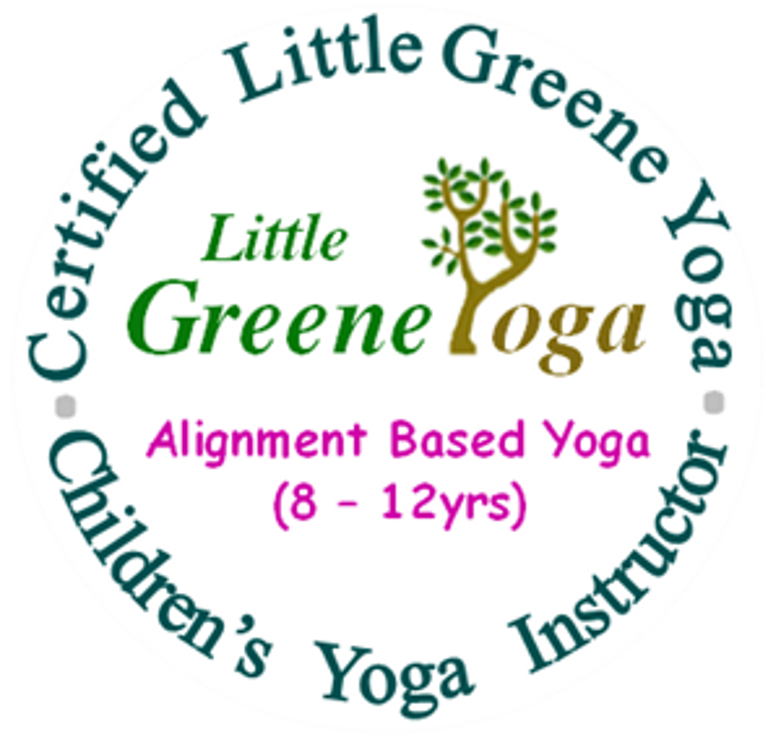 Little Greene Yoga endeavours to train Certified Children & Teen Yoga Instructors to the highest quality. Only those who meet the criteria can use the Little Greene Yoga badge. This is quite a controversial statement given that there is no governing body for yoga and that anyone can set themselves up as a yoga instructor ,and many do. Most Children’s Yoga Teacher Training courses are only 3 days long with many organisations competing for students. Adult course, on the other hand are usually 200 hours long and this is the basic minimum. So what can you expect from a Little Greene Yoga course that sets them apart from the rest? Although there are many course who will let students attend their training course with little or no training experience, Little Greene Yoga is not one of them. Yoga is for everyone but as a parent do you really want your child taught by someone who has only 3 days (gained on a course) experience in yoga. We don’t offer 3-18 years in one weekend training course – that would be ridiculous! 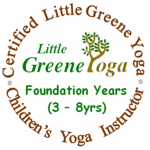 Within the Little Greene Yoga Foundation syllabus there are 2 distinct age groups covered – (3-5yrs) & (5-8yrs). There is a little overlap in these two age groups, so they are combined into the Foundation course. Little Greene Yoga feels that teaching children is a serious matter for both student and teacher and that 3 days is the minimum required to learn to teach the foundation course on its own. Once the foundation is sound then the teacher can move on and deve lop their skills for the older age group. The teaching syllabus is completely different to maintain the interest and develop the body of an 8-12yr old, so is offered as a separate training course. This philosophy is built on more than a 15 years of experience of teaching children within these age groups. All courses are very intensive and practical. You will leave exhausted; exhilarated; bursting with information; you will have experienced teaching your first yoga class to children and will be happy in the knowledge that there is backup when you need it! While we understand that many people struggle to give up time to attend a course, we believe that to truly learn being with like minded people under the guidance of a mentor is the best way. Often online training seems so appealing but unless we are extremely disciplined then this can be money spent without ever completing. Why not truly invest in yourself, and the children you plan to teach in the future, by attending a course where you will be nurtured as the individual you are. We don’t cram as many people into our courses to fill the room. We only allow 6/8 on each training course! This way each student is nurtured into a completely individual instructor in a very organic way – we take individual teaching styles and help you maximise your strengths. We are happy to advise each instructor on both the yoga and the business aspect of teaching children yoga. There are extra class plans available and additional specialties that our graduates can access. These include our “Yoga for Schools” add on among others. We don’t have certificates made up to hand out on our last day as how can you predict that your students are going to pass! Our courses are not designed for spectators! Each instructor leaves our course having developed their own lesson plan then taught it to a class full of children. The feeling of achievement on leaving each course is amazing. This practical session also serves as a practical exam. You will never see photos on Facebook of our instructors posing with their certificates – successful completion of both written and practical exams are required. "cos I like it and it's fun there and I like the sunflower best and the mouse and the tree pose.....and Veronica is pretty".